We ran the SRT-4 at a Martin Sports Car Club event, finishing second to a well-driven BMW 330Ci. The car was making some weird squealing noises which we later tracked down to being a bad LF wheel bearing. It was allowing quite a few degrees of movement in the wheel. Hmm, might explain why it cornered better going LEFT! We also started learning how to left foot brake and we ran the entire event yesterday using only our left foot for braking. It worked pretty well, but we know we don't have the hang of it yet. We need to go to a practice event or a school so we can get more seat time with this technique. We've got a few months before Nationals, but we figured we'd get some new graphics and magnetics made in the meanwhile. 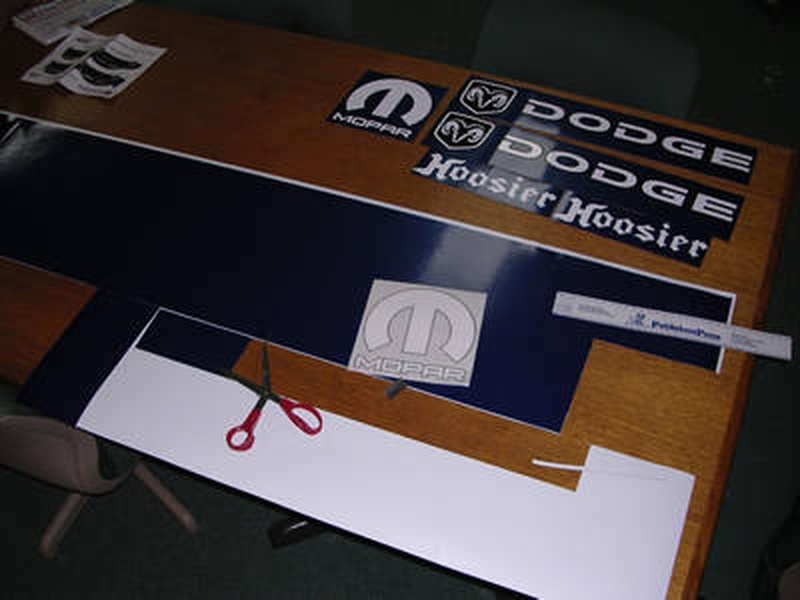 We found some metallic blue vinyl which we had Tim at Hawkeye Signs apply to standard white magnetic material. The blue matches our SRT closely and look darn cool. The left front wheel bearing and hub were replaced under warranty. Turns out that the axle nut wasn't tightened enough from the factory and this little bit of play killed the bearing. All is fixed now. After 11k miles and a half of a season of autocrossing, we can unapologetically say that we love this car. Sure it's cheap. Sure it's unrefined. But when you stand on it, toss it into a corner and shake it by the scruff of its neck, it responds well. Now only if they spec'ed some wider rims!